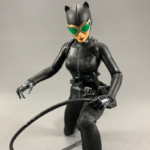 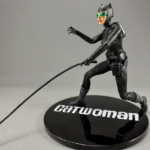 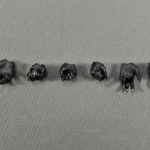 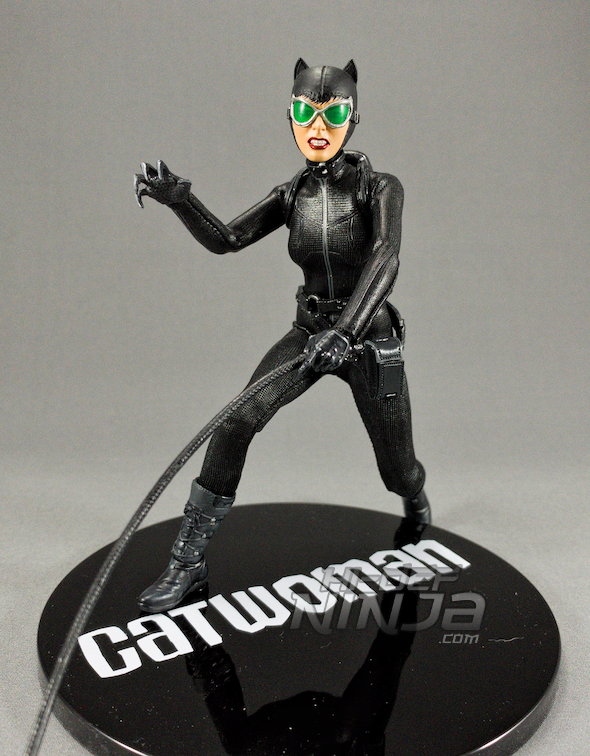 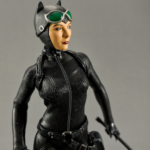 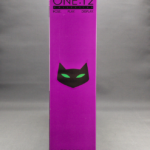 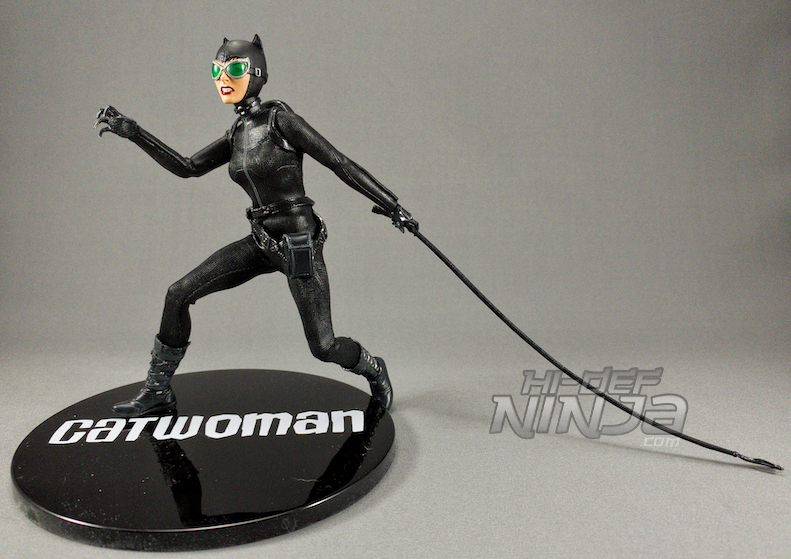 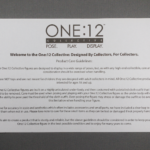 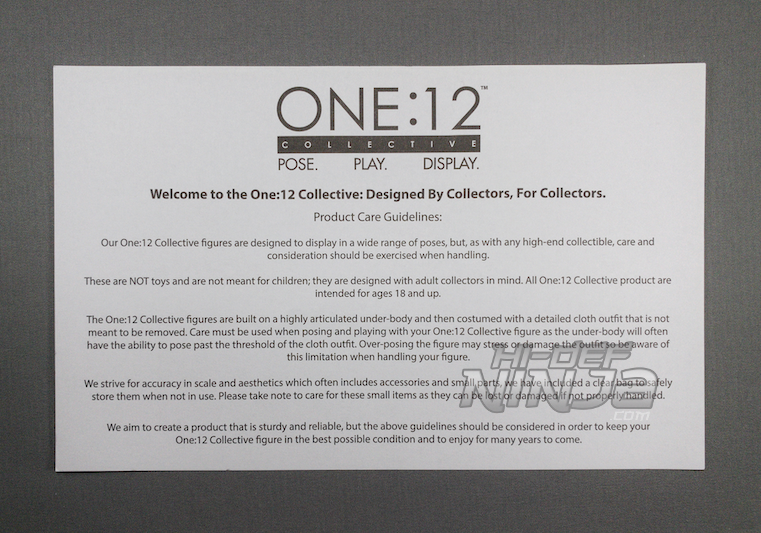 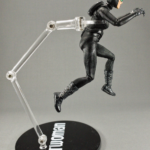 A review of Mezco's Catwoman figure from their One:12 Collective! 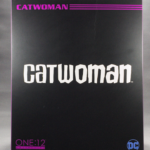 The outer slipcover is a matte black with magenta writing designating the One:12 Collective and Catwoman. 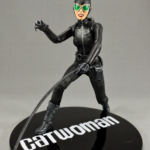 The large Catwoman title is, and this is the best example I can think of but, the font looks like the same as THE GOONIES. 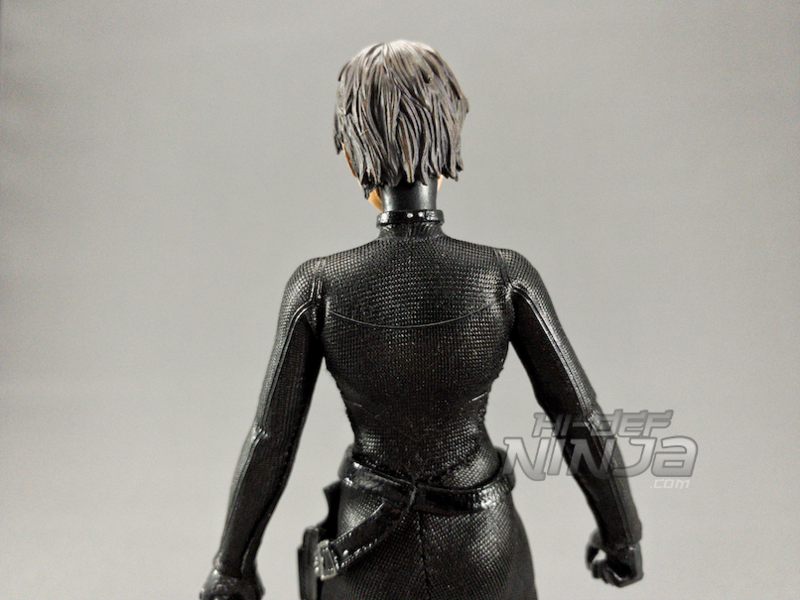 The back has the action shot and accessories listing photos for the figure. 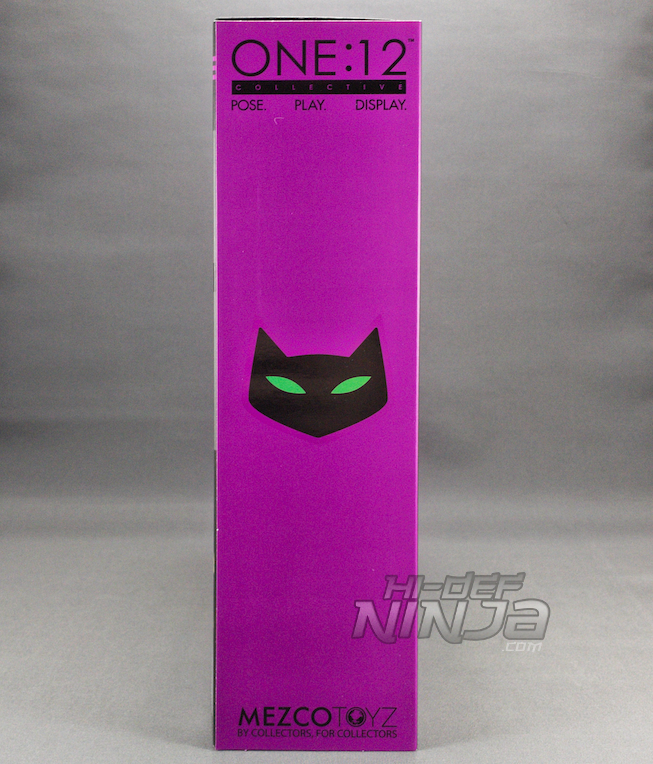 The sides are magenta with a “cat” logo with black writing. 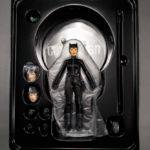 The cover slides off and you have the standard black box with the window to see her packaged up inside. 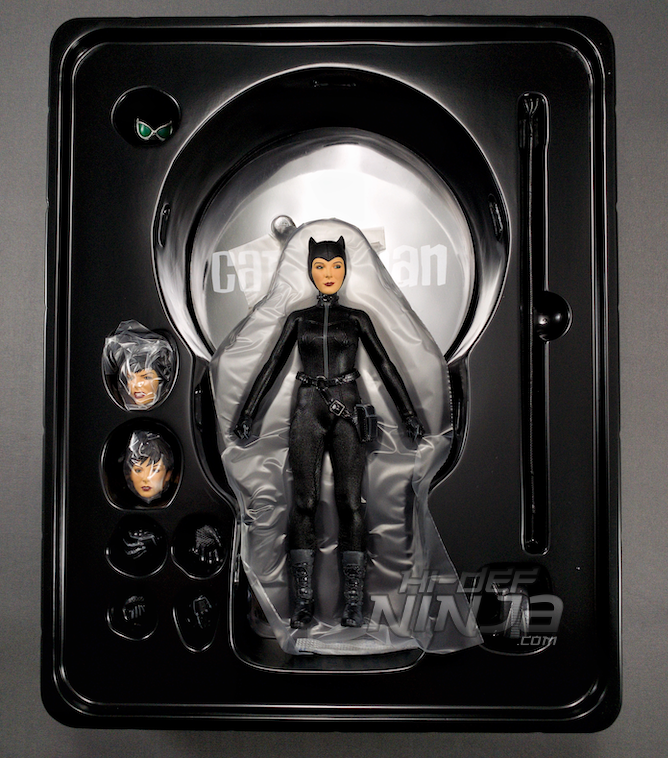 She comes with three heads: two are with her head cover or eared-hood up and the other has her head uncovered completely. 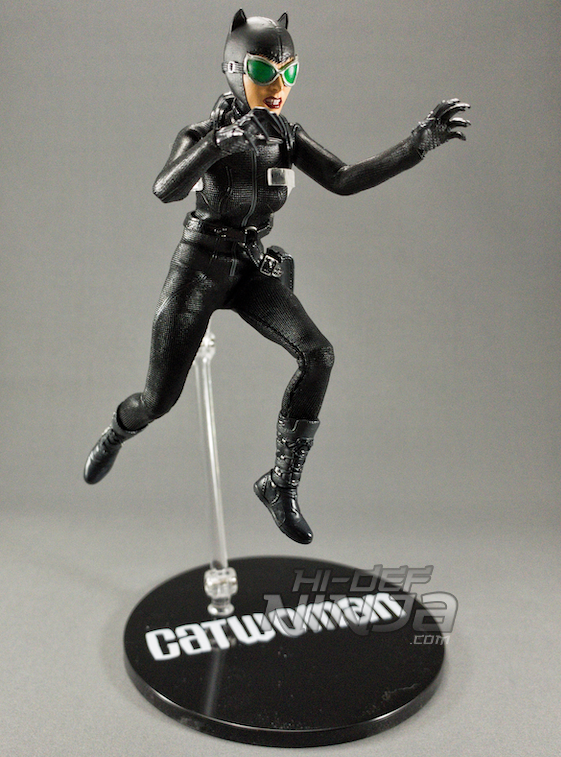 One of her heads has an angry face like one that you can use in action poses or just making her look aggressive. 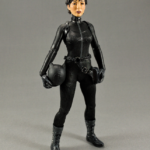 The other covered head is the portrayal of her personality. She has that snarky face that is the sly cat in her. 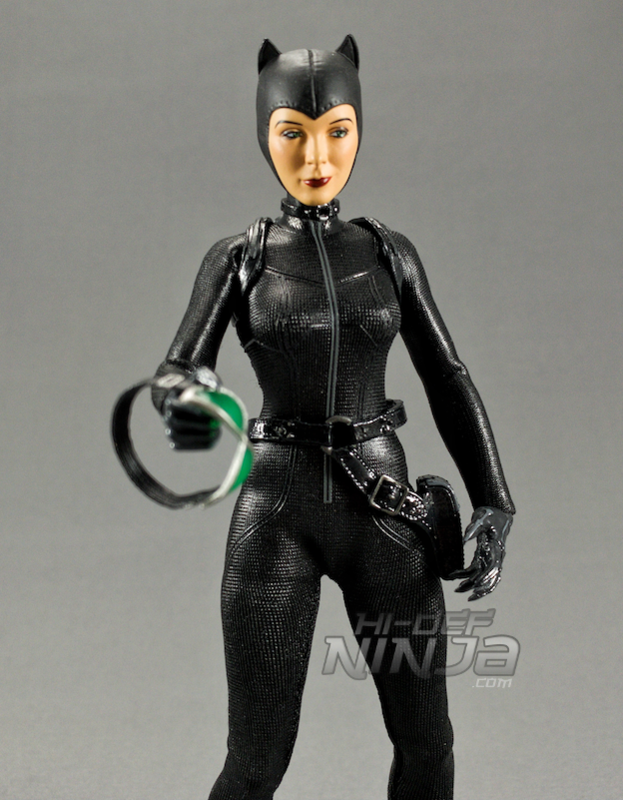 You can use the provided goggles over her eyes or relaxed on her forehead. 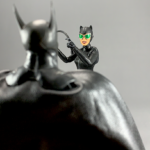 The one with her head out completely is good for having some variety and posing her with other characters like Bruce Wayne. 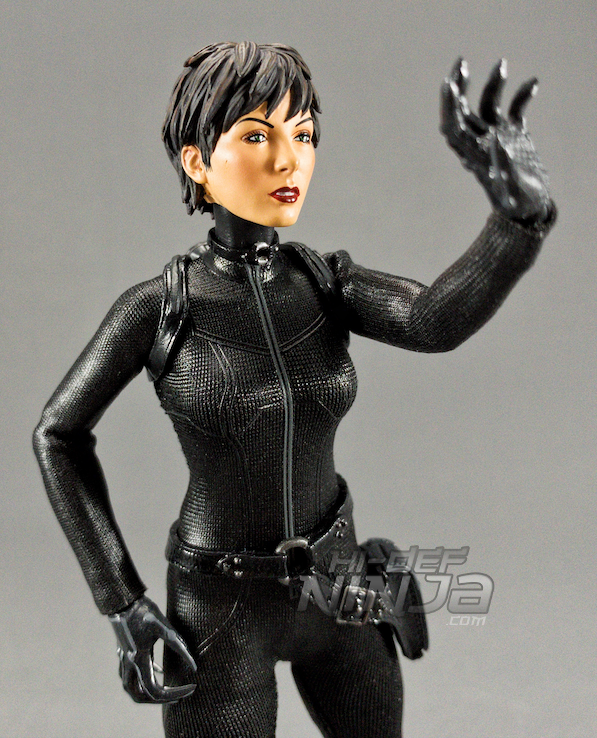 Her hair is nicely sculpted and she is a brunette with some lighter colors for a natural look. 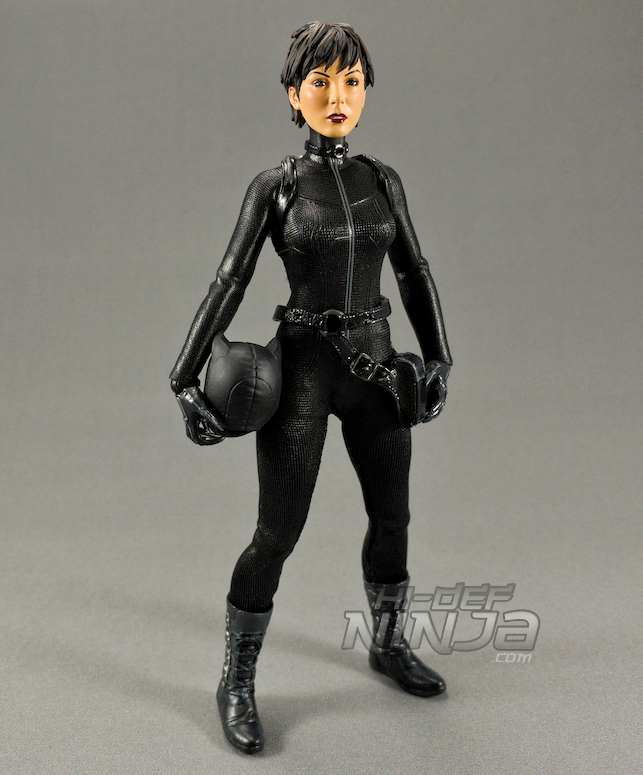 Her overall facial design is very comic book-like but it fits with the other DC characters in the One: 12 Collective. 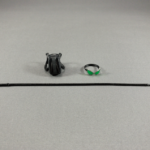 It is also very constant between all three. 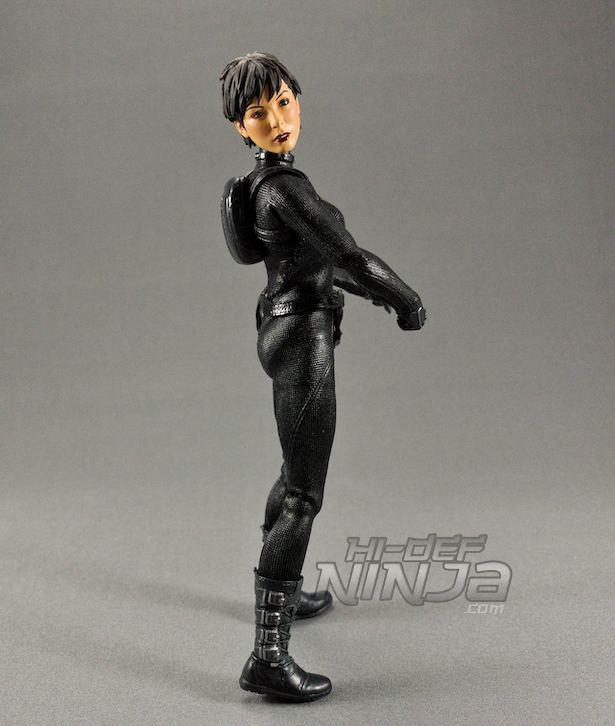 Her skin tone has a tanned look and not as, well, pasty as Deathstroke. 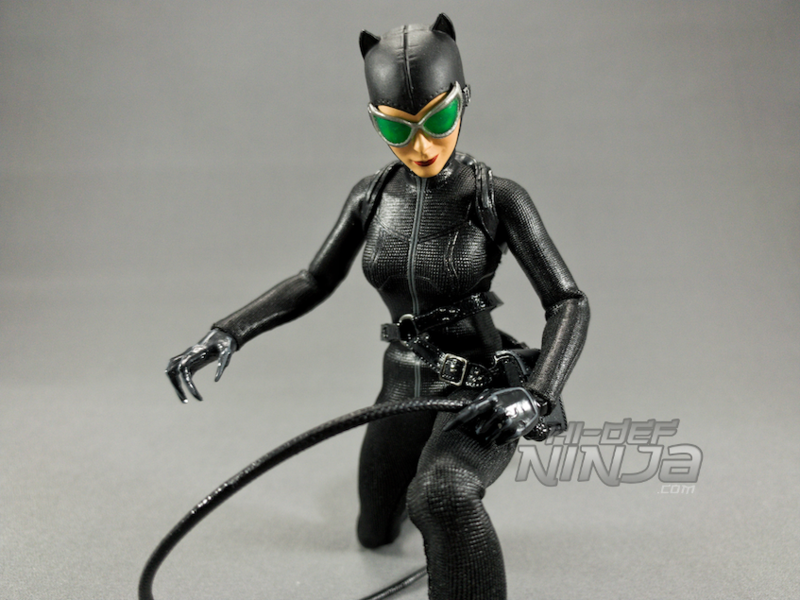 Her catsuit is skintight like in pretty much every iteration of her aside from the early comics where she had a skirt. 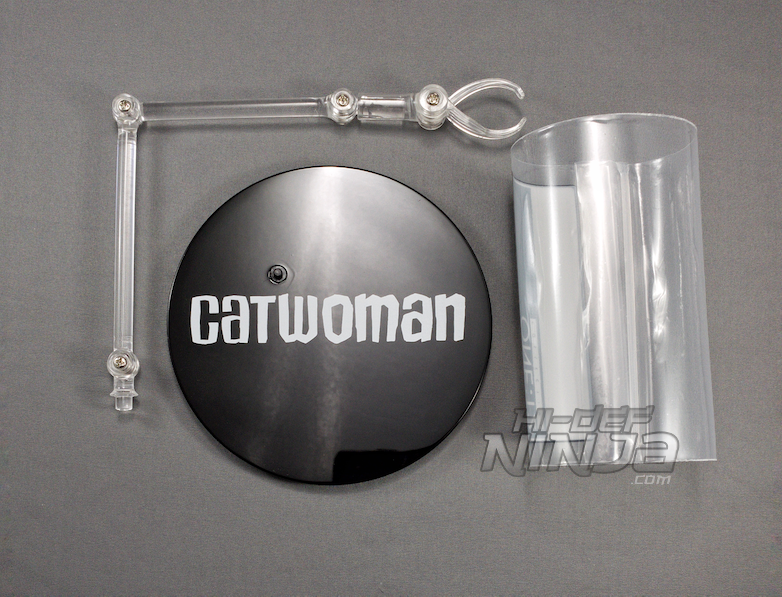 This gives her a stealthy look and nothing hangs, allowing her to get into places without alerting anyone. 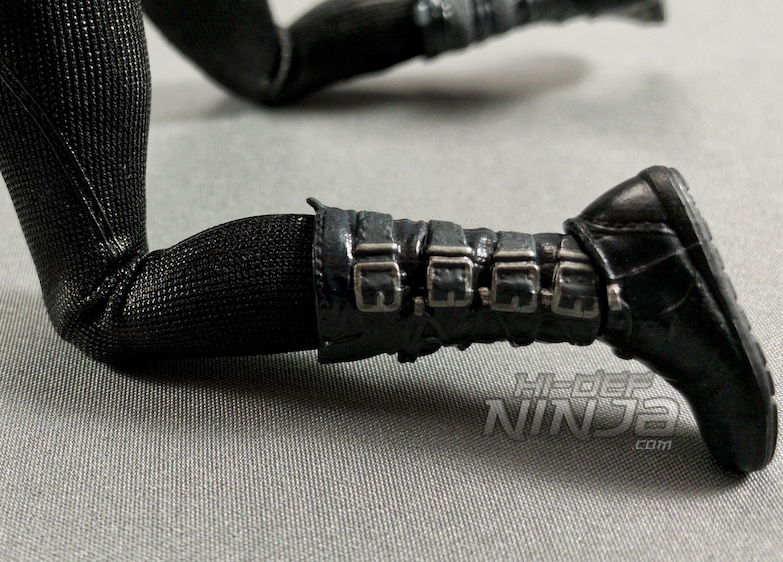 The design of it makes it look like there are some patterns on it and not just one solid piece of material. 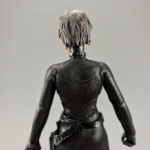 The stitching looks a bit tighter than some of the costumes on the other figures in the line. 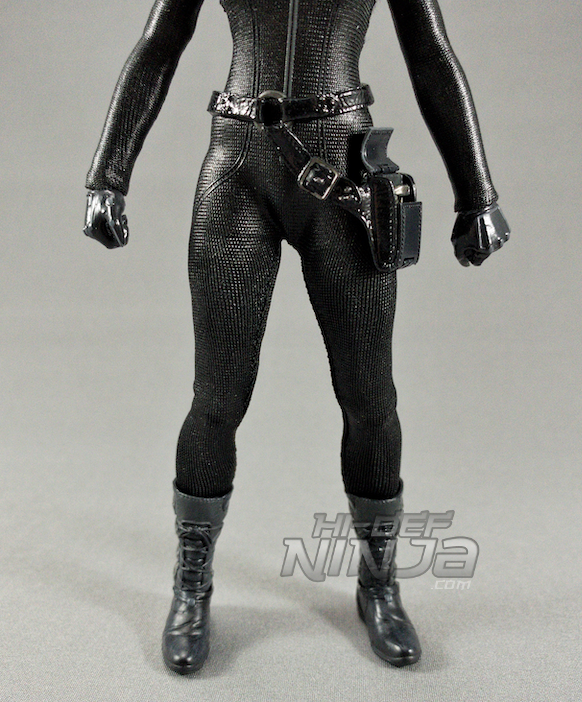 As for her boots, they are mid-calf and look like they have straps as well as laces. 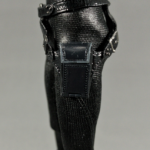 There are 4 painted buckles on each boot and are segmented at the ankle for movement. 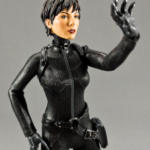 She comes with a decent set of accessories: the three (3) head-sculpts, six (6) interchangeable hands, a backpack, a satchel. 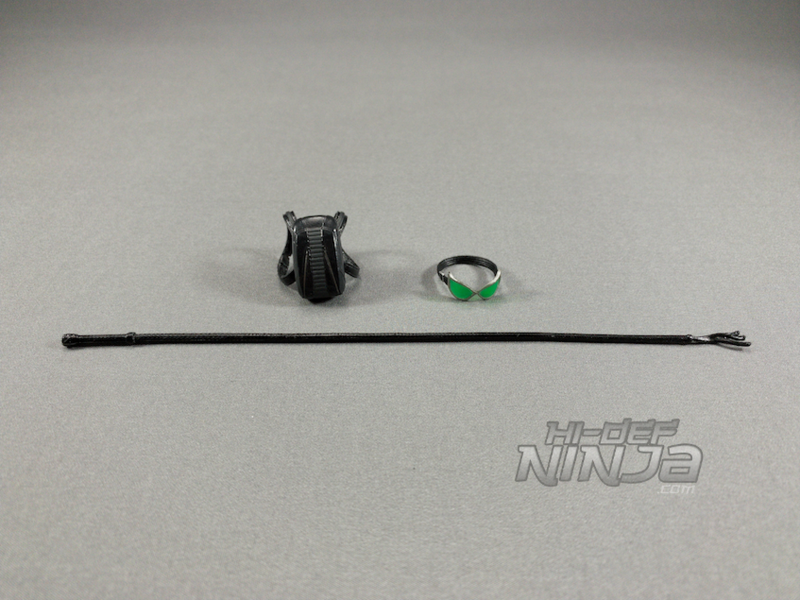 goggles, whip, a base stand arm for posing, the base stand with the movie logo, and a bag for the accessories. 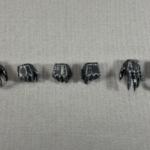 The six hands are all gloved with two clawed hands, one pointing hand, one fist, and two grabbing hands. 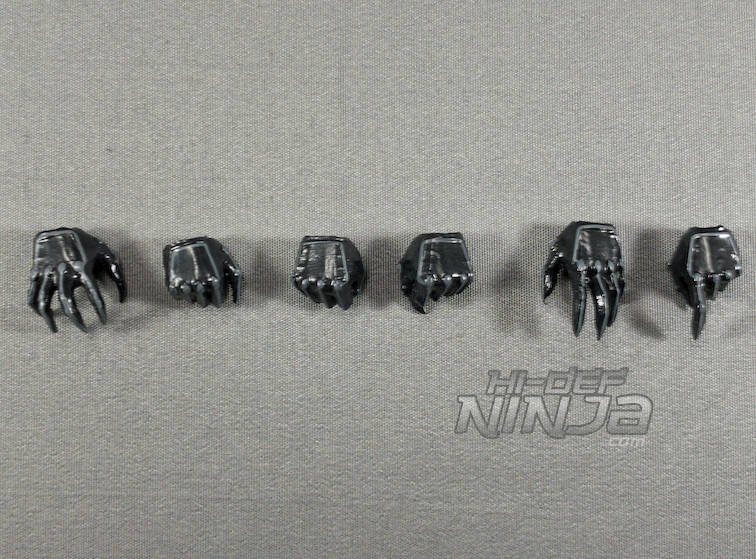 They are on the glossy side and every one of them has her nails ready to scratch. 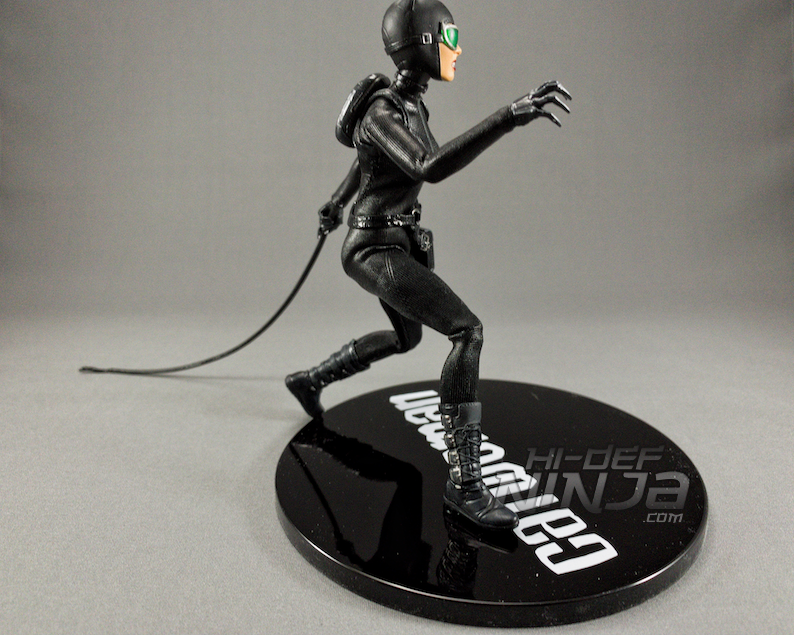 The grabbing hands are for holding the whip and goggles. The whip being her weapon of choice, it is flexible enough for posing but if you overwork it, it may get damaged. 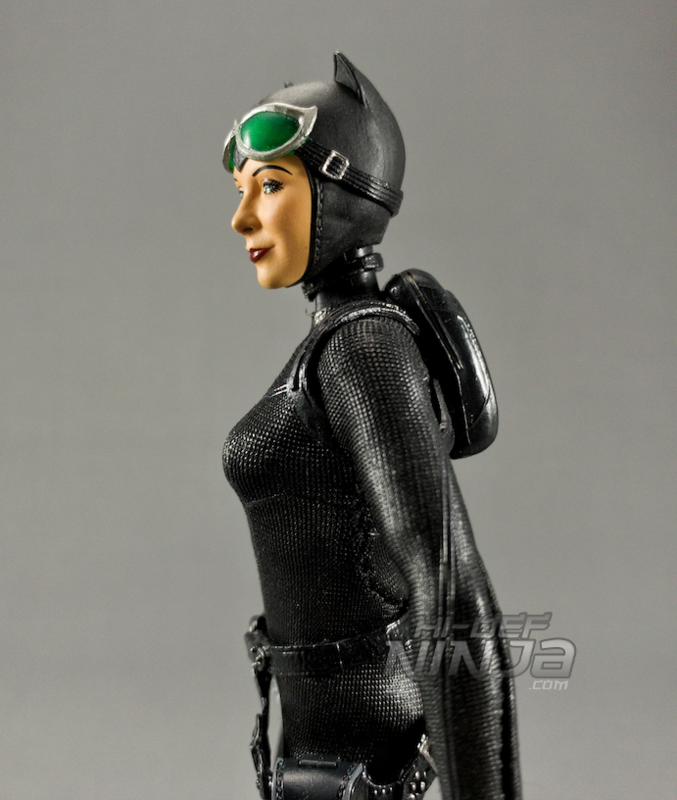 As I mentioned earlier, the goggles are removable and she can hold them as well. 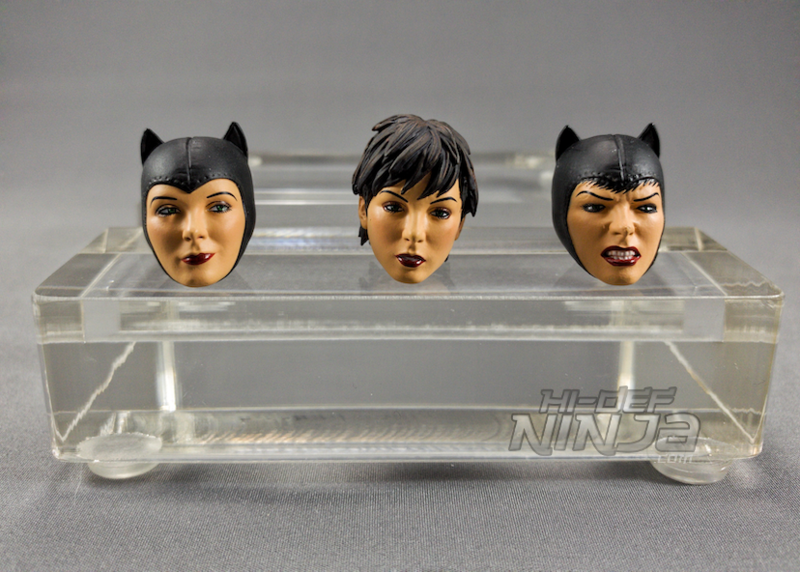 They can either sit on her eyes or rest on her forehead. 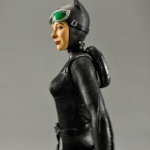 A little tip for owners: It is so much easier to get the goggles on her head going from the neck up rather than trying to go from the top down. 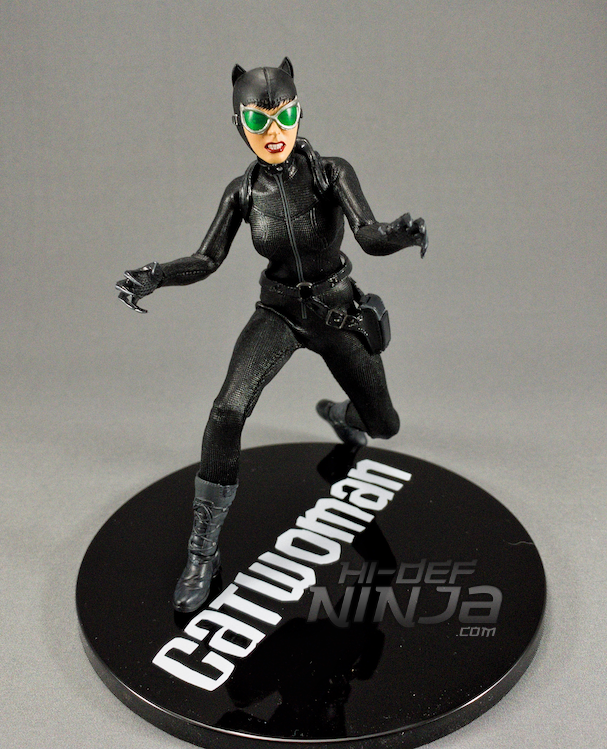 The lenses are translucent green so you can see her eyes underneath. 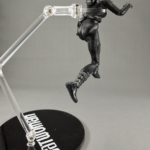 It’s helpful to convey the emotions of her head sculpts. 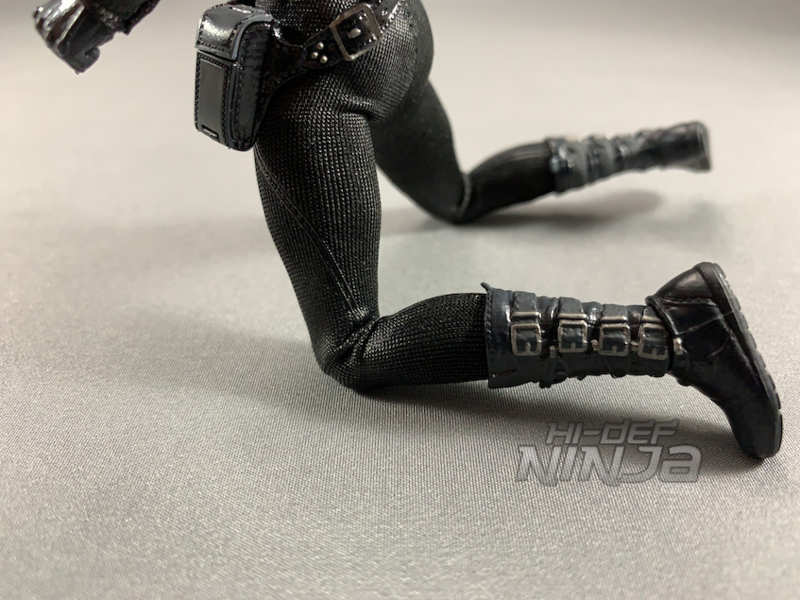 The backpack and satchel are removable but when it comes to the satchel, there is really is no reason to remove it once it on. 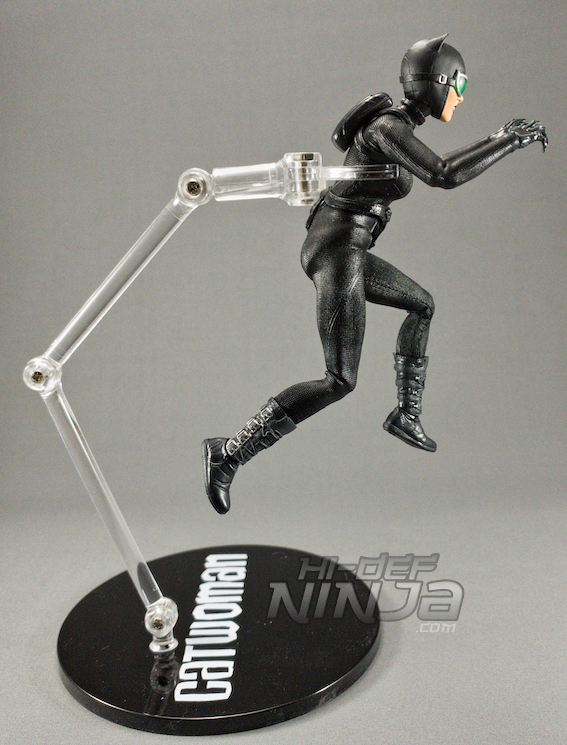 You have to angle her arms back to put on the backpack and it stays in place. 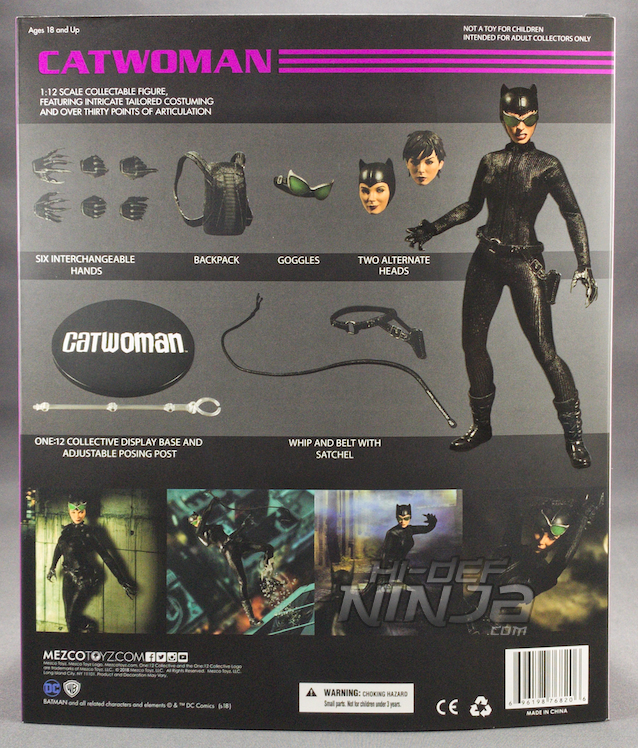 The pack itself is it made out of what feels like a flexible vinyl. 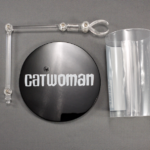 The satchel can also open up to see the tools that she uses on the job. 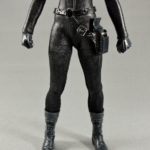 The tools are fixed and sculpted in plus with some silver paint to look like there are actual tools there. It is attached like a holster on her legs and waist. 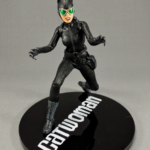 The base is a glossy black with what I’m going to refer to as “The Goonies” lettering but it has Catwoman. 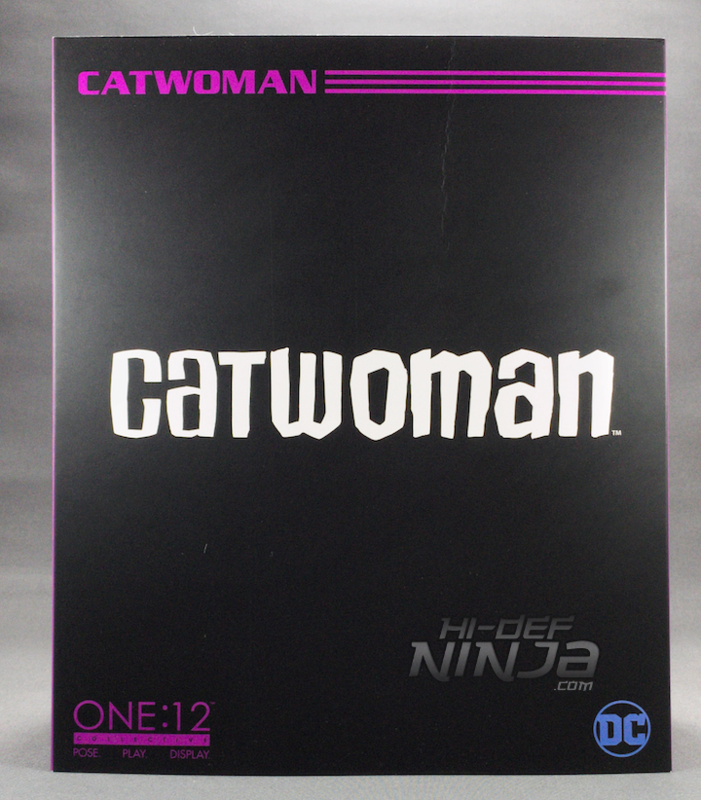 I might have gone with the cat logo from the side of the box but this looks good. 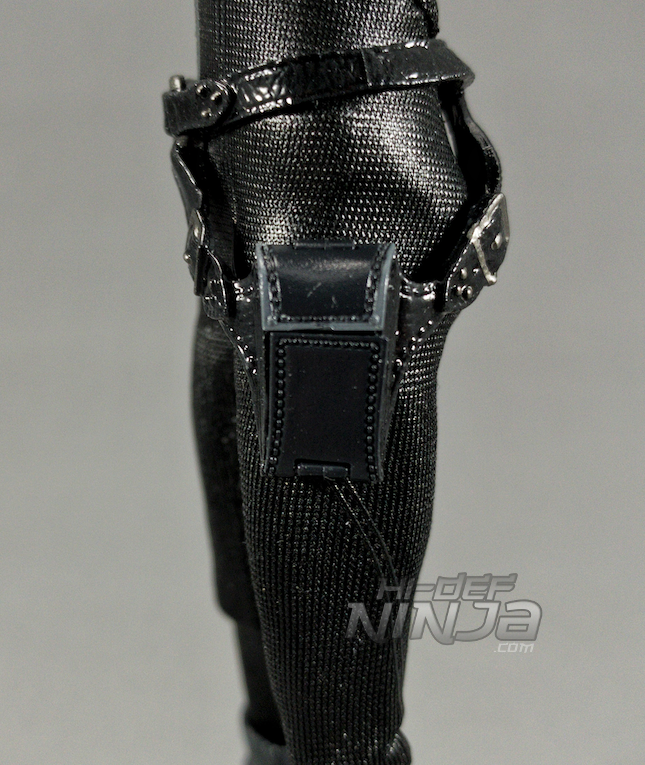 It also has the foot peg that is removable and the clear posing arm going into that hole. 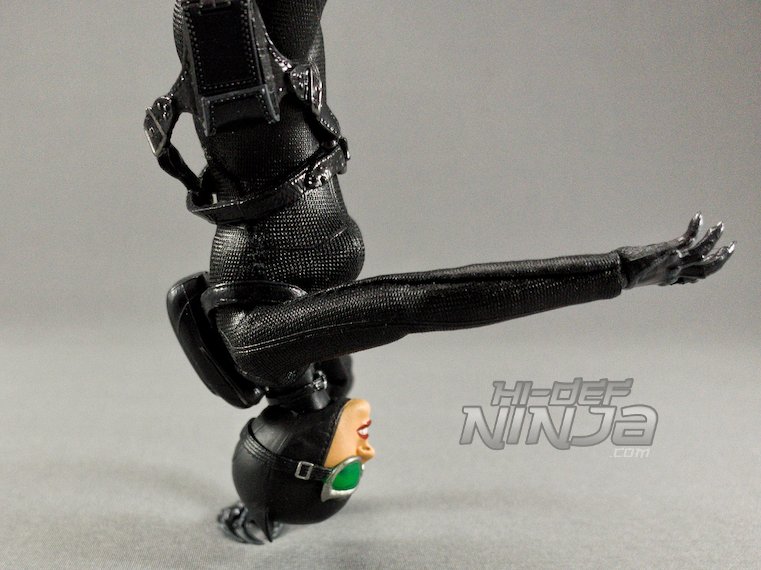 Flexibility is not an issue here. 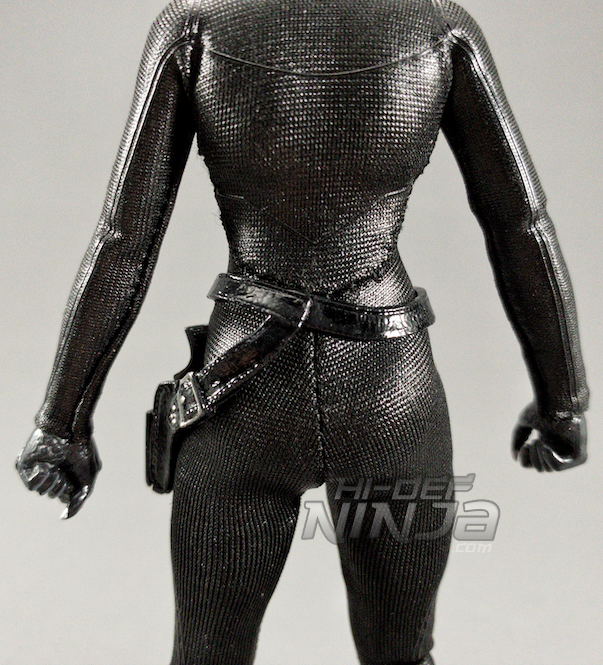 The mesh-like catsuit and the body underneath has the double-joints at the elbows as well as the knees. 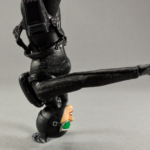 She is able to twist in her torso and with her sleekness, dynamic poses are easy. 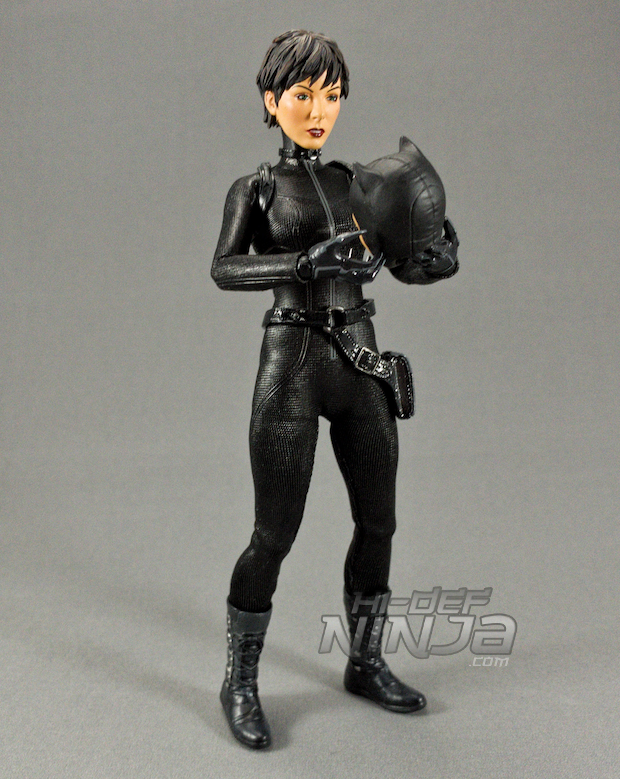 Her head and neck swivel naturally plus the heads are easy to swap out. 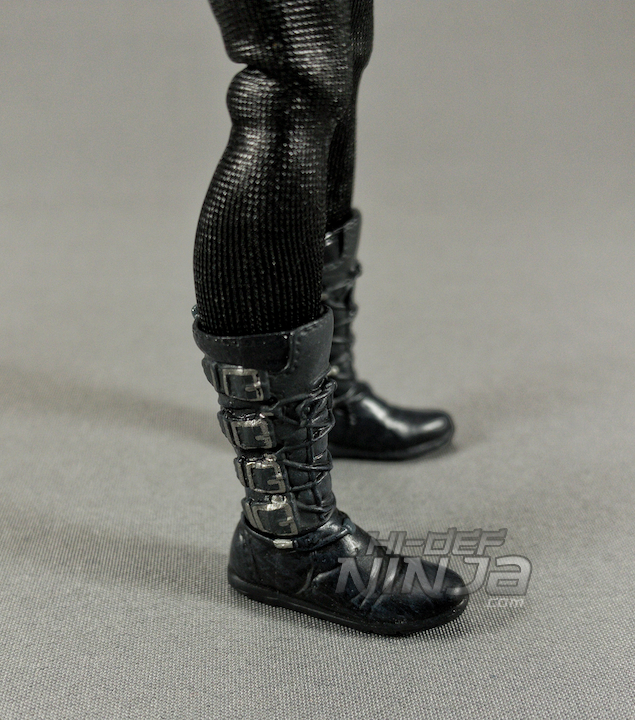 The boots look like they’re solid but they swivel at the ankles. 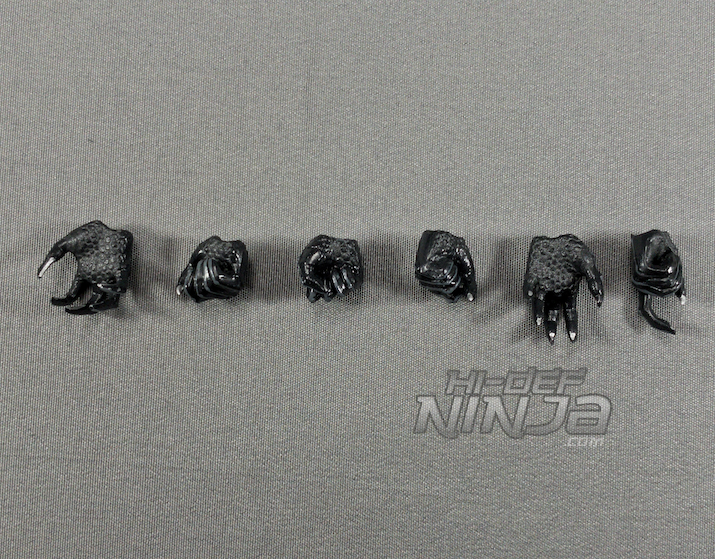 The wrists swivel in the same manners as most of the figures from this collection. 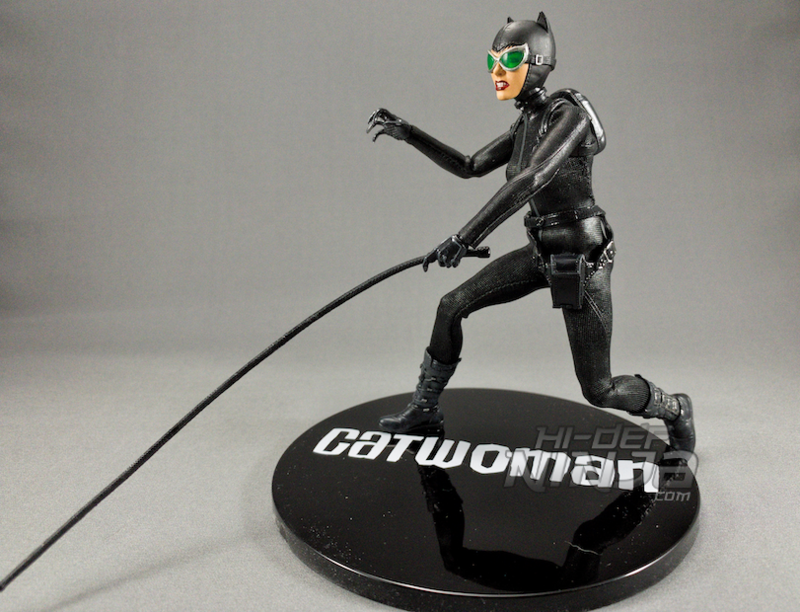 Catwoman is a nice addition to the Batman collection and the One:12 Collective overall. 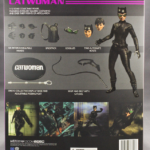 It shows that there is a need for female characters from the Batman universe and I would love to see a Batgirl, Batwoman, Harley, or even a Stephanie Brown Robin. 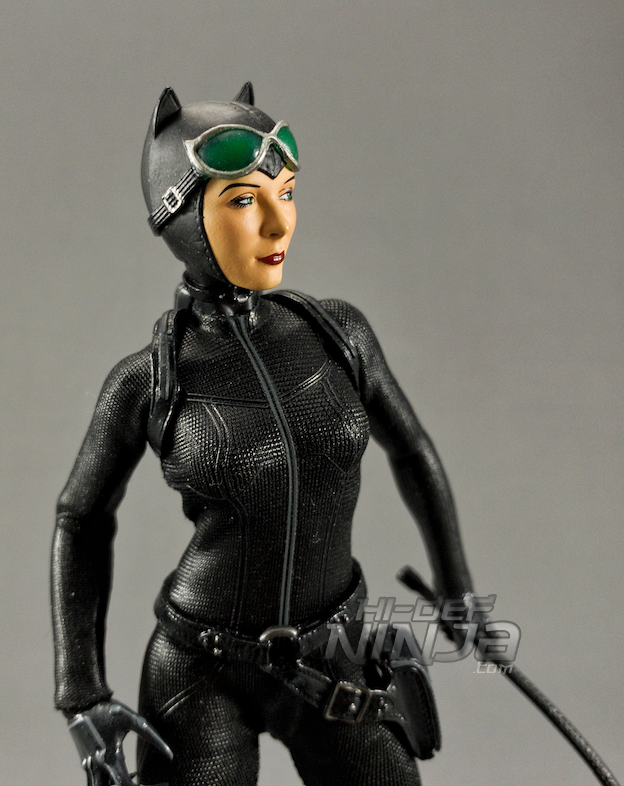 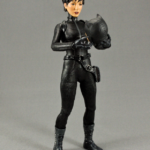 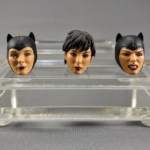 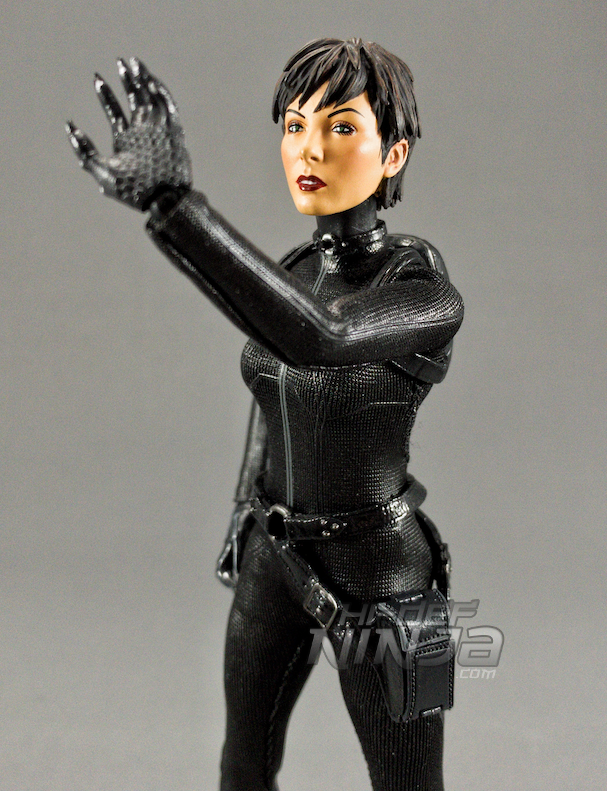 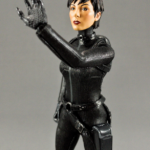 Selina’s head sculpt here has a nice interpretation from the comic book version of the character, her suit design is clean, and the accessories all makes sense. 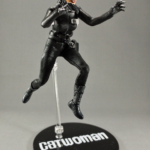 If you’re good with how she looks than I highly recommend picking this figure up.